Windows 10 Update Assistant is a tool that helps you force the Windows 10 Fall Creators Update to your Windows 10 powered machine. I tested the Update Assistant on my Microsoft Surface Pro 3 so I could use the Microsoft OneDrive Files On-Demand feature. In this article I will briefly describe the Windows 10 Update Assistant steps that will bring the Fall Creators Update to your machine. 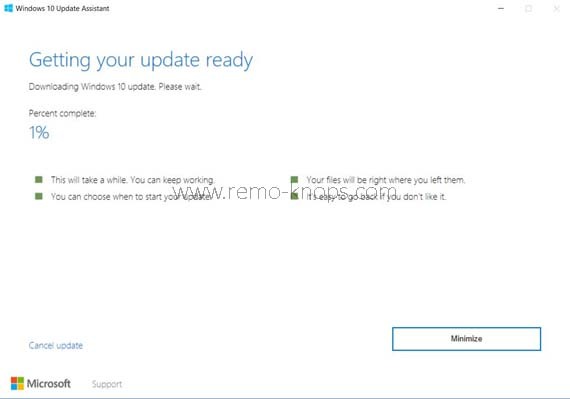 The Windows 10 Update Assistant is a tool that forces the download and installation of the Windows 10 Fall Creators Update. The tool provides you with a set-up wizard like approach, which is user-friendly and step-by-step. So how do you get this update assistant ? 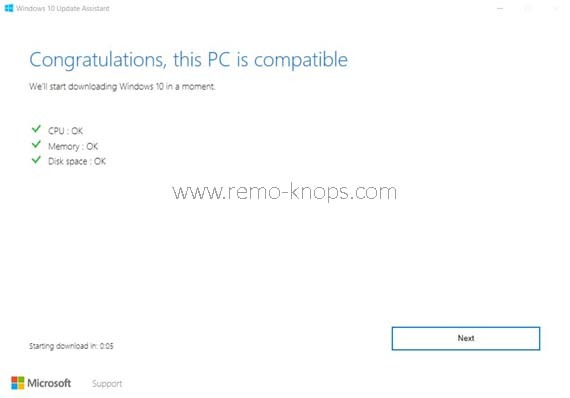 You simply go to the software download page for Windows 10, which looks like the screenshot above. 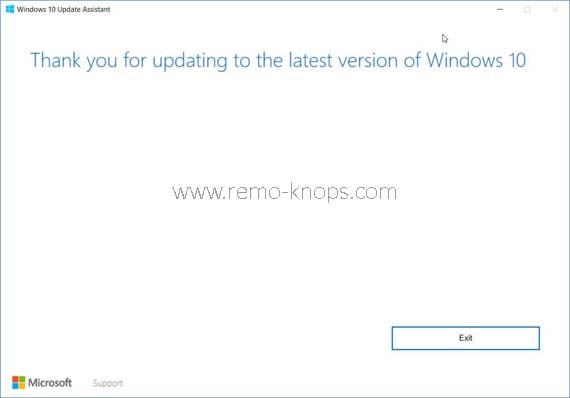 You click on the blue update now button to download the Windows 10 Update Assistant to your download folder, or you can run the installer straight away. The preferred and advised mechanism to install the Windows 10 Fall Creators Update is Windows Update. However with the Windows 10 Update Assistant it is a five step process. The actual installation took me less than 90 minutes, and went smooth. I’ve successfully installed the Windows 10 Fall Creators Update on my Microsoft Surface Pro 3 with the Windows 10 Update Assistant. In an extensive blog-post on the Windows Blog you can read What’s New in the Windows 10 Fall Creators Update. Also check out the blog-post that covers the announcement of mixed reality headsets and the Surface Book 2. As mentioned in the introduction I’m happy with the Fall Creators Update and had no issues so far. I really love the Microsoft OneDrive Files On-Demand feature as stated in the introduction. The structured step by step approach somehow reminds me of the Windows USB DVD Download tool that I reviewed a couple of years back. Interested in more Windows applications review, check out this page. 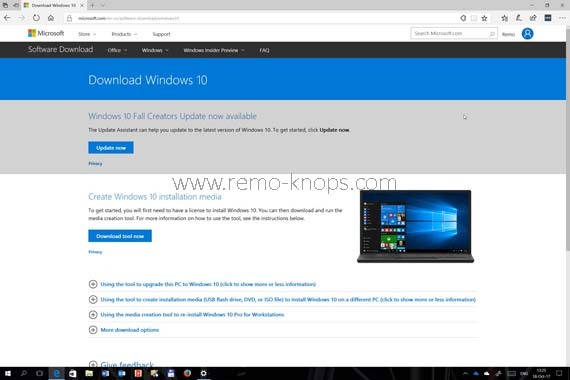 You can download the Windows Update 10 Assistant from the Microsoft Download page to get your April 2018 Spring Creators Update, codenamed “Redstone 4.” or in other words … Windows 10 version “1803”. Hey!, I found this information for you: "Windows 10 Update Assistant – Force Fall Creators Update download". 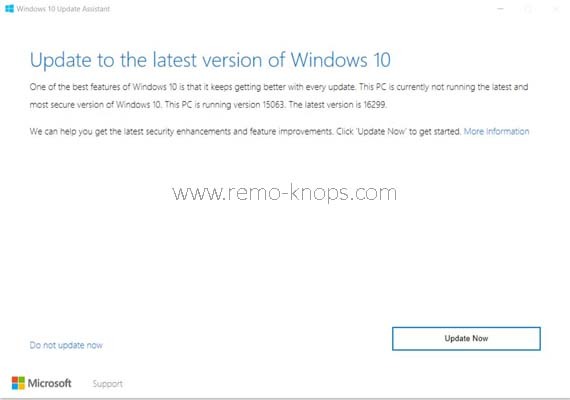 Here is the website link: https://www.remo-knops.com/7229/windows-10-update-assistant-force-fall-creators-update-download/. Thank you.